With my queue shrinking slowly but steadily I can finally bring you another release! 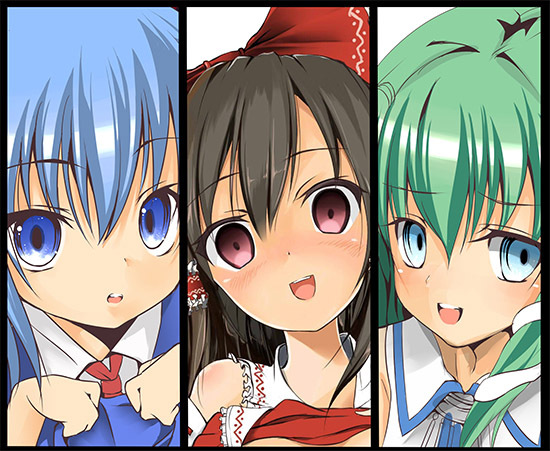 This time we have a hypnosis themed Touhou work. I personally like hypnosis themed works quite a bit. Sadly there isn’t too much focus on it here, though. The actual hypnosis part is never shown, only hinted at. This isn’t too bad, though, as it leaves more room for the unseen, self-insert protagonist to have fun with the girls. And what fun it is! 5 different girls and all of them in full color, with each story satisfying a different fetish. If you like Touhou (or just the girls from the games) definitely give this one a read.